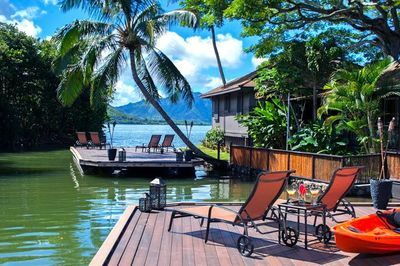 Located on Kaneohe Bay, this resort offers views of the Koolau Mountain range and Chinaman's Hat. Kaneohe Bay is protected by the largest barrier reef in the Hawaiian archipelago. Downtown Kaneohe is 6 miles away and Kualoa Ranch is 4 miles from the property. Kailua Beach Park is 12 miles away and Honolulu International Airport is 18 miles from Paradise Bay Resort. 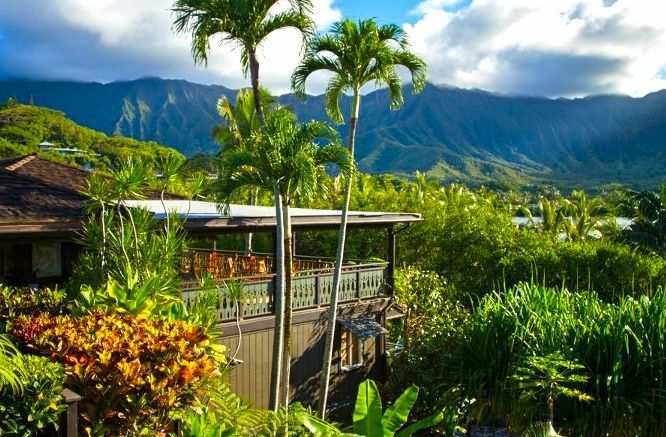 Hawaii Pacific University-Windward Campus is a 15-minute drive away. 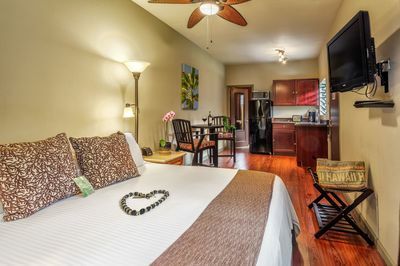 Each room and suite at Paradise Bay Resort is furnished with a flat-screen cable TV, sitting area and an iPod docking station. All accommodations have a kitchen or kitchenette that includes a refrigerator, microwave, cook top, coffee maker and kitchenware. The suites have a private lanai or patio. * Exclusively for resort guests only; charges apply. On Wednesdays, join us on a quest to find endangered Hawaiian Sea Turtles. After snorkeling our private reef, our boat captain will take you to a secret location where Hawaiian Sea Turtles and Manta Rays frequent.​ Snorkel gear, towels, life jackets, refreshments, pupu and Maitai (for guests 21 & over provided) provided. Daily resort fee is USD35 plus tax for the first two adults and USD10 for each additional guest over 12 years old in the same room. No fee for children age 12 and under. Resort Fee includes: access to an outdoor pool/Jacuzzi, fitness room, BBQ grill and floating docks, kayak and snorkel equipment rentals, use of beach towels and safe (at front desk). All guests also enjoy complimentary continental breakfast daily, free Wi-Fi throughout their stay and one guest parking per room. Resort Fee will be collected from the guests at the property at check-in. At Paradise Bay Resort, we know that your pet is an extension of your family, and you do not want to leave them behind when you travel. We will pamper your furry friend at Paradise with a welcome treat and we even have a designated pet park for the pups and kitties to roam and keep fit while they are on vacation! Pet-friendly rooms are available upon request at an additional rate of US$25 per pet each night of your stay (plus applicable taxes). Maximum 2 pets per room. Request for Pet-friendly accommodation must be made prior to arrival. 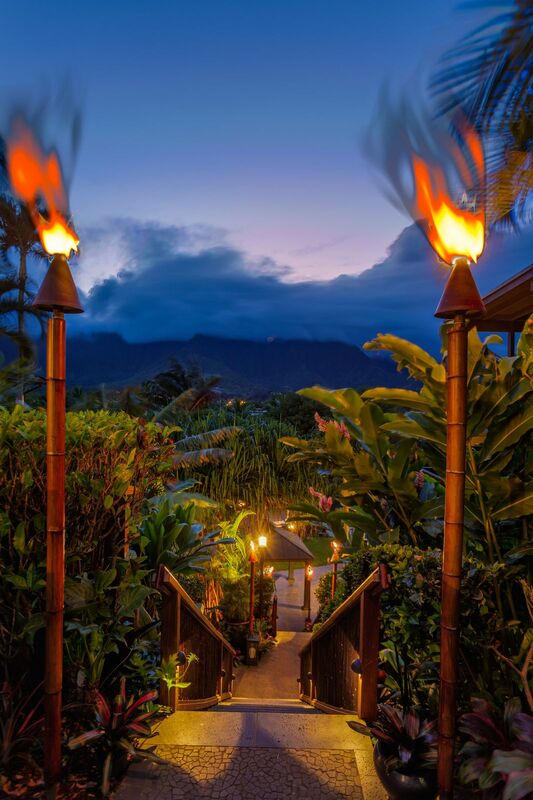 Take a tour of our resort and accommodations virtually on your desktop or mobile device! Of course, we very prefer that you visit and stay with us in person.